Do you love soccer as much as we do? Then get in the game! 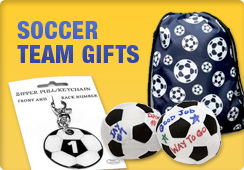 We have the largest selection of soccer gifts from jewelry to gifts for your favorite coach- it’s all here at our one-stop soccer shop. Grab your favorite soccer girl a gift she will never forget! With eye-catching jewelry, fashionable soccer accessories and more- she can take her love for the sport everywhere! gifts for your biggest fan. Mom. Everyone loves a soccer mom! Show her your appreciation by giving the gift of soccer. With specialty items just for mom. Welcome to the Soccer Stuff N More website- your headquarters for all things soccer-related! 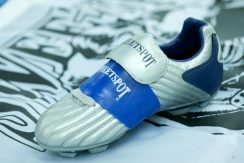 Our goal is to offer the most complete and widest selection of unique soccer products such as soccer team gifts, soccer jewelry, soccer party stuff, soccer novelties, soccer accessories, other soccer gadgets and other soccer products all at extremely competitive prices. If you love soccer as much as we do, show your soccer spirit with some accessories from Soccer Stuff N More. There is something for everyone here at our shop including, soccer girls & boys, soccer teams, soccer moms and your favorite coaches. Take some time to view our selection of unique and exciting items. If you have any questions- get in touch with us today! Please come back often, as we will be adding great new items every week!! Order online right here at our soccer store or please feel free to contact us at 614-899-9233. Thanks for shopping!